Don't forget to enter my giveaway for 25 photo birth announcements OR 25 photo birthday invites! Just hop on over to my giveaway page! I thought it would be fun to share 3 of my favorite new kitchen items. Well, one isn't so new but I just love it so much that I'm sharing it anyway. I love my pots and pans but my whisks have been tearing them up! I recently discovered these silicon whisks and they have saved my pots from even more scratches! I bought this set of 2 at Bed Bath & Beyond for $7.99 (with a $5 off coupon, so I only paid $2.99!). This is the item I've mentioned before. Chris got me a set of Rachel Ray Furi knives a couple of Christmases ago and I love them. They are the best knife set I've ever had! My last newish favorite thing are these metal mixing bowls. I love them because they are coated in silicone so they don't slide all over the place while you are working! Be sure to check out my latest giveaway...just click the Giveaway & Reviews tab at the top of the page! Ignore the fact that I look like a hot mess here. It was late, I was tired, I'd just cooked 2 dinners (one for us, one for a new mom) and had braved Wal-Mart. I've got a great new giveaway going on RIGHT NOW on my giveaway page! 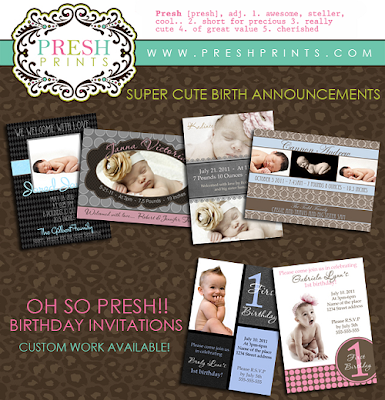 Want to win a set of 25 birth announcements or birthday invites from Presh Prints? Just click over to enter to win! My mom makes an amazing pasta salad that has been a part of our family events for years. I recently made this for our small group and I thought I'd share the recipe. I tried to think of a title for this post but they were all too long. Originally it was called "Brody's favorite thing and Sweetness." Then it was "Brody's favorite thing and Sweet Brothers." Then it was "Brody's favorite thing and My sweet boy." Basically, it got longer and longer so now it's just "Brody and Brayden." Yep, that sums it up. I ordered Brody a taggie blanket from She She Made and it arrived a few days ago. Brody LOVES to hold things and put them in his mouth. Brayden never, ever did! So of course, Brayden had a ton of lovies with his name embroidered on them while Brody had none! So I got him his own and he LOVES it. We take it everywhere with us and it makes him so happy! I took 70 pictures last night of my boys dressed alike. They were SO cute. And then I uploaded them and found out that I accidentally switched my settings and none of the pictures turned out!! Ugh!! The weekend isn't even over yet but it's been a big one in our household! First, the big mister decided to use the potty seat. He's done it before but not since I made his potty chart. He gets to put a sticker on the day that he used the potty and he gets one to wear. Most kids can be bribed with candy, but mine prefers stickers. Go figure. He did pretty well! He ate almost half the container...though "ate" might be an overstatement. He ingested some and spit some back out at us. He had more tonight and he did a little better. He seems to like it! I thought it might be a good idea to document a current day in our life, so that I can look back and see how things have changed! 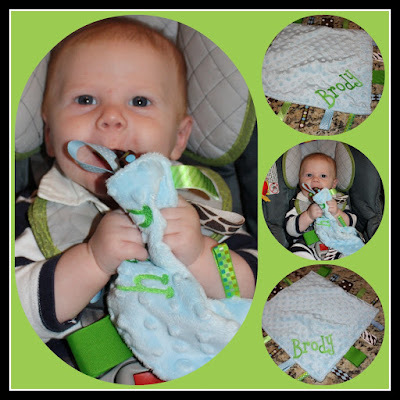 First, I want to put a note for myself in here that Brody officially got his first tooth yesterday! It's barely through the skin, but it's there! Wow! 7:30am - I get up and get ready. This is a recent change. Up until recently, Brody would wake up and I would get him, feed him, play with him, then he would play on the floor while I got ready. Now, he's sleeping longer so I'm able to get up, showered, hair/makeup done and even make Brayden's breakfast before either of them have woken up. 9am - 12:30pm - Boys play, we run errands, go to playgroups etc. 12:30/1pm - 3/4pm - NAPTIME for the boys!!! I clean, cook dinner, read my Bible, catch up on blogs, write a post etc during these precious few hours of quiet! I am SO glad that I got them onto the same nap schedule. I've had a few peeps on Twitter ask how I did that. Basically, at one month old, I started working with Brody on taking a nap at the same time of day. It didn't matter where - in my arms, in his bouncy, his swing, whatever. I just wanted him to get used to the idea of a scheduled nap. Easy! 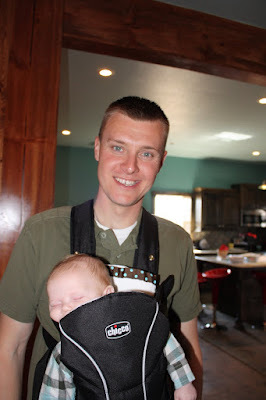 At 2 months, I started slowly working on getting him to nap in his pack and play (where he was also sleeping at night). He took to that immediately. At 3 months, I started putting him in his big boy crib in his room. Again, no problem. Now he naps there everyday. 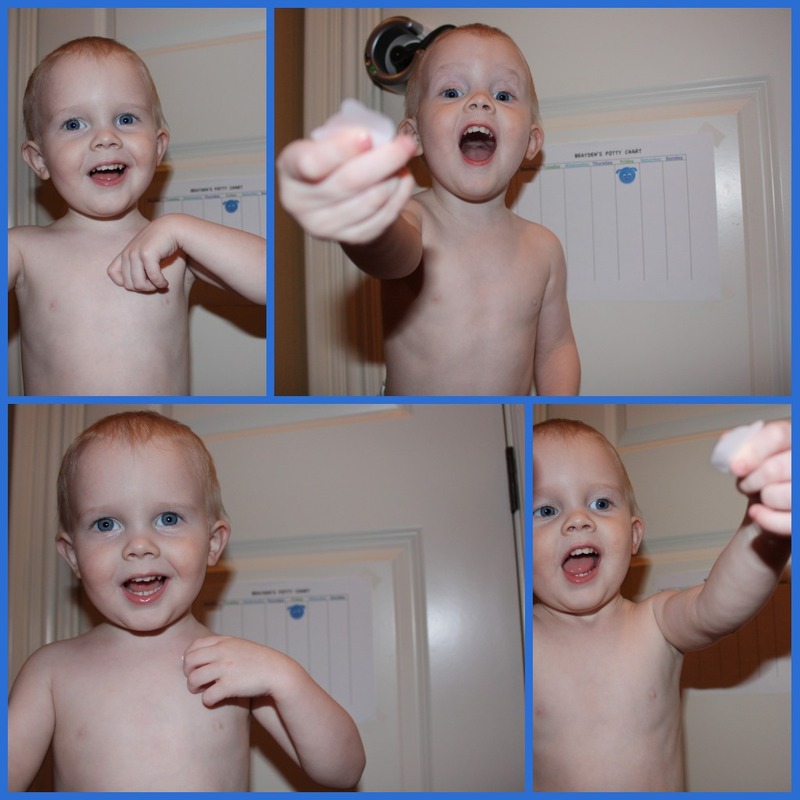 4pm - 7:30pm - Playtime, bathtime, Daddy time, go out and do something fun time! Every day is different. Sometimes we go to the park, out to eat with friends, to small group, to my parents etc. 7:30pm - Start bath time if it's bath night. We do baths every other night except during the spring/summer, then it's every night. We bathe Brody first, then Brayden. The whole process takes about 45 minutes. Brody eats every 2.5-3 hours during the day and then sleeps all night. 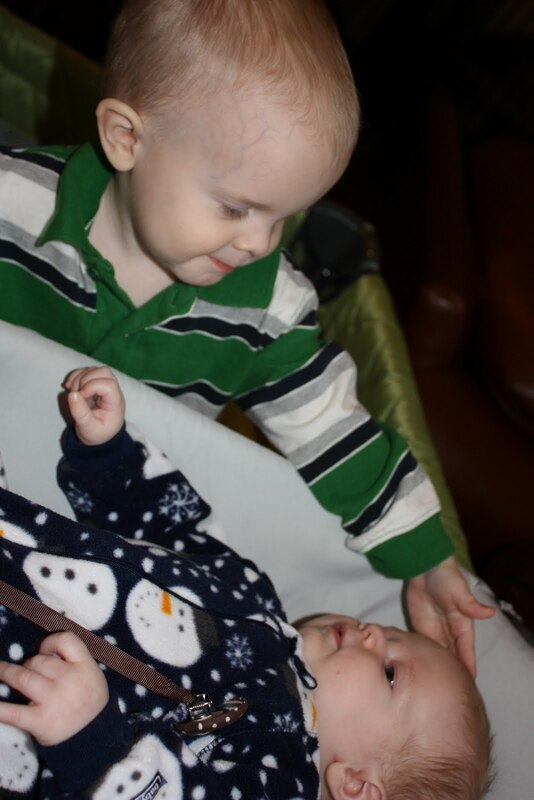 And because no post is complete without a pic of my sweet boys...here they are holding hands and smiling at each other. Who me? Oh, you have the camera? Take my pic! 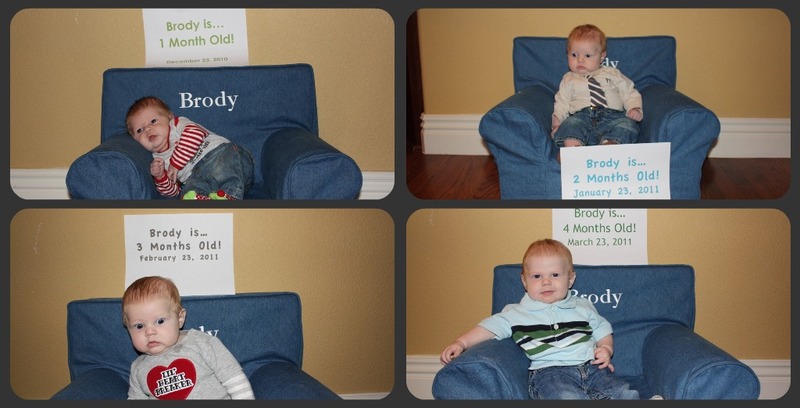 Brody, you are 4 months old today! - You wear a size 2 diaper but once we run out of this package we are moving you to a size 3! 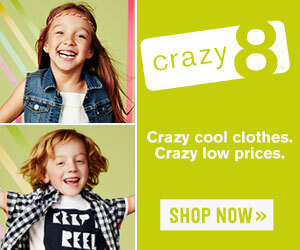 - You wear 6, 9 and 12 month clothing! - You can roll back to front (since 9 days old). - You scoot on your belly - sort of an army crawl. - You eat 5-6 ounce bottles every 2-3 hours during the day. - You sleep in your OWN room now, and have been sleeping 10 straight hours or more at night. - You nap at the same time as Brayden and sleep from 2-4 hours. - Your reflux is SO much better now that we are seeing Dr. M! - You love to talk and coo. - Your gym is your favorite thing! - You have really good hand eye coordination for a baby! - You are at or ahead on all of your developmental milestones! - Your big brother is your favorite person! You are sweet little man and we love you so much! This is one of my FAVORITE new recipes. I got it from Beth's Favorite Recipes! If you like Mexican food you will love this and it is so easy to make! I also made a black bean and corn salad, I'll post that later this week! In a large skillet over medium-high heat, brown steak in oil. Transfer to crockpot. In the same skillet, sauté onion for a minute or two. Gradually add the water. Add remaining ingredients and bring to a boil. Pour over the flank steak. Cover and cook on low for about 8 hours or until the meat is tender. Slice meat and serve with the onion and pan juices. And then I realized that I didn't have any tortilla's so I decided to try my hand at making some! Mix ingredients together in a bowl using your hands. Knead for a few minutes until dough comes together and loses most of the stickiness. Cover with a damp towel for 10 minutes. Divide dough into 10 balls, cover with a damp towel for 10 minutes. 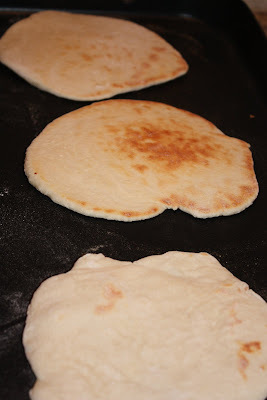 Using a rolling pin form the tortillas into VERY flat circles. Heat a dry skillet over med-high heat. Place tortilla on the skillet - it will begin to bubble. Let cook 45 seconds and flip. I keep forgetting to include a chiropractor update and I've been trying to reply to your tweets/emails/comments individually but it'll be easier to just post it here! Thus far, we've gone three times. I wrote a post after the first visit here. We noticed a difference right away though I've heard from other people who've gone that it's taken them a few visits. I think in our case Brody's reflux was soooo bad that it was easy to notice any change. He went from literally crying all hours of the day to actually being fairly happy! Now originally, I blogged that we were going to go once a week. However, last Sunday night I changed my mind and took him in again Monday and then Thursday (visits 2 and 3). Monday he only had 1 small area out and Thursday he had 1 in his back and 1 in his neck. Each time, he was easily adjusted. He really loves Dr. M - I think he realizes that he makes him feel better! Ha! He doesn't cry he just stares and him and smiles and coos. It's pretty sweet. Wednesday night we were at church and when we picked Brody up the girls were asking us what had happened to him because they noticed such a HUGE difference in his demeanor! If that doesn't tell you how much of a difference this has made I don't know what will! Ha! So the plan is for me to continue taking him once a week. Also - I noticed that he still cried every time he was in the carseat. I asked Dr. M if he could inspect the seat and he decided to remove the back support (not the head support, this is a piece that goes under his rear and lower back) because he thought it was putting pressure right on that critical area. He pulled it out (it's a separate piece from the seat and fully removable) and I've noticed a really big difference on our car riding experiences! So, double yay! So that's the update. If I missed anything or you have a specific question leave it in the comments and I can reply right back to you there - it will email you my reply! Today was a baby shower for my sweet friend Melissa! She's having a baby girl next month who we all can't wait to meet! Jennifer and Jill's mom let us use her house for the shower which was just perfect! Her home is beautiful and it flows so well! Yummy food! I made spinach dip and parmesan chicken salad sandwiches. I've got the chicken salad posted already (click here) and I'll write up the spinach dip next week. It's ridiculously simple! Look at this teeny tiny swimsuit!! So sweet! Lots of cutesy, pink GIRLY things!!! We are so excited to meet the new baby next month! And I am dying to finally learn her name! Today was one of my favorite times of the week: Playgroup! We went to my friend Rebekah's house today to let the kids (okay, and adults) hang out. The only pictures I got of the big boys were of their backs as they were running away, ha! We had a nice lunch and hung out and visited for awhile. Once we got back home I put the boys down for their nap (I am SO glad they sleep at the same time!) 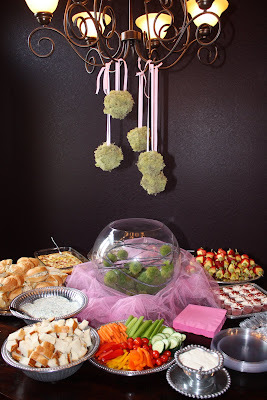 and was able to get a few things ready for a shower that Jennifer, Jill, Sara and I are throwing tomorrow for Melissa. I've got a few recipes to share later on as well! Hope everyone is enjoying this beautiful Friday afternoon! The obvious placement of choice will be his head. Oh, and everywhere else. First of all, thank you for all the wonderful comments on my last post! It was a very special day for Chris and our family! I think anyone who is delving into the world of two kids worries about this. I certainly did. Brayden is a really sweet boy and generally pretty laid back. He listens well, he is gentle (most of the time) and he is loving. BUT, when you throw a little baby into the mix who NEEDS a lot of attention, you never know what is going to happen! Thankfully, Brayden really loves Brody. He tries to play with him. He will ask him "Brody play golf?" and offer him a golf club, or "Brody wanna cracker?" and offer him some graham crackers. And he loves to give him kisses and hugs. He even asks to hold him, but Brody is pretty heavy, so he doesn't really like to! Ha! The only "jealousy" type issue we've had is when we first brought Brody home. I had a very rough c-section and ended up being completely knocked out. I also ended up with internal and external staples as well as dissolvable strips. I wasn't allowed to lift Brayden for 6 weeks! Being as he wasn't even 2 yet, he really didn't understand why I couldn't pick him up. That was the hardest thing! How do you explain that to a baby? 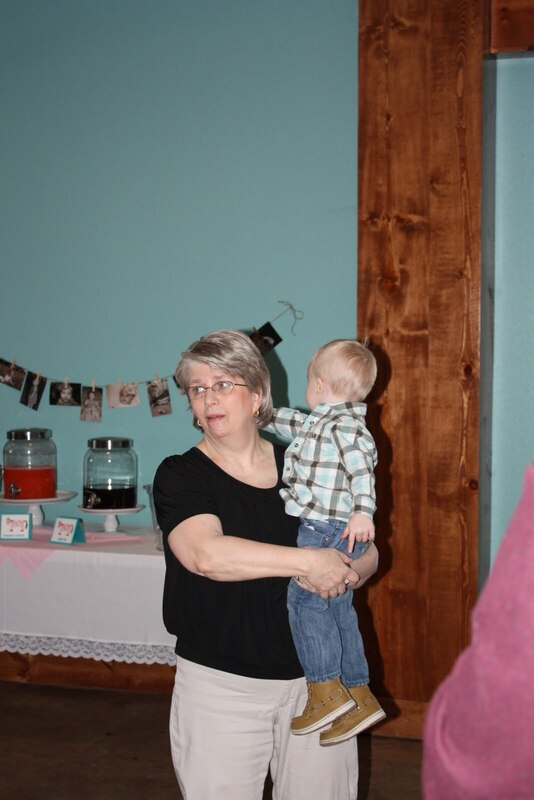 He would see me hold Brody and he just didn't understand why I couldn't hold him. After the first couple of weeks, Chris would set him in my lap but by that point I think he was pretty mad at me for not picking him up. Now, of course, everything is perfectly fine. He knows that I love him and that I love to hold him just as much as I love to hold Brody. I say all of that because that is such a common question and certainly one I asked my friends who've got 2+ kids. There are so many "taboo" subjects when it comes to parenting and things that people don't talk about, but that's just not my style! I enjoy sharing our experiences and hopefully the things I share are helpful! - Let your older child feel involved. Ask them to get you a diaper or to hand you a paci. - Praise them when they help! If you were a fly on my wall, you might think I was crazy because of how much I praise Brayden when he helps us do something with Brody. But that praise instills confidence in him and makes him WANT to help! - Make sure to give both kids individual attention. 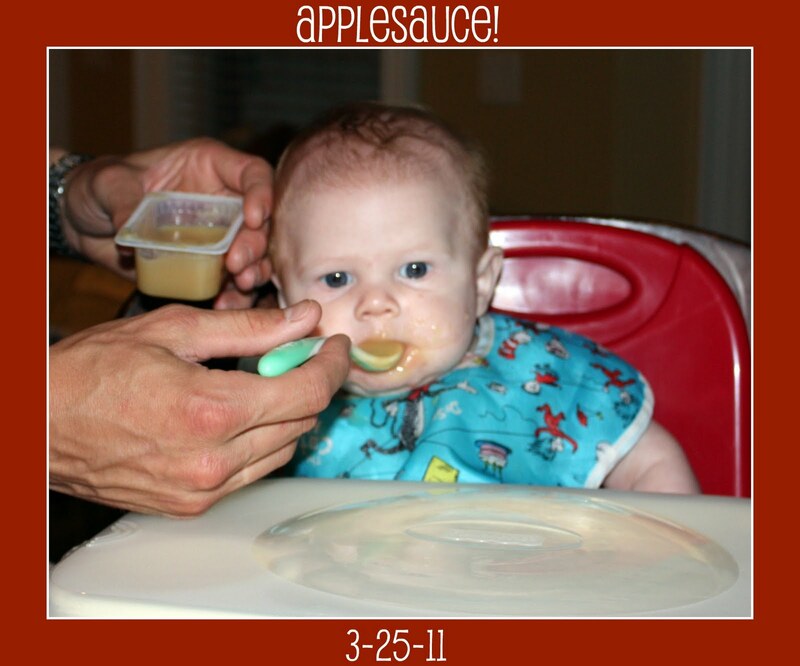 This has been the hardest because Brody has been so miserable with his reflux. But when Chris gets home, sometimes I will take Brayden into another room to play with just him or vice versa. If he wakes up from his nap before Brody, I'll go in his room and we will play there, just the two of us until Brody wakes up. It's made a big difference! - Let them play. OK, this was hard too. Brody was 6.13oz when he was born and I was terrified that Brayden would hurt him. Babies are durable though, and with proper supervision everything will be fine, and it helps cut that animosity. Anyway, I know it sounds funny to say that I get emailed about this kind of thing a lot, but I do. I am NOT an expert, just a mom who doesn't mind sharing what has worked for us! I hope it will help you future moms of 2 out there! I mentioned that Sunday was going to be a special day - and it's because Chris got baptized! As you might know, we're Baptists. We believe that there is a order to how things are done - first, you publicly acknowledge your personal commitment with Christ, something he did several years ago. After that, (which is sometimes referred to as "going forward") we follow through in Believer's Baptism. It's an outward profession of a personal commitment - saying that you've died to your old self and are now living for Christ. Since we've moved to our new church, our pastor has preached quite a bit on baptism, and Chris realized that he needed to be obedient and follow through with baptism. My parents and Chris' mom and stepdad joined us for church so they could watch the baptism. Afterwards, we all went to one of our favorite restaurants for lunch, and our friends Sara and Matt joined us. On another note, I've gotten so many emails and tweets asking about Brody every day! So, here's a brief update for you. I decided to take him back to the chiropractor today, even though we've got an appointment on Thursday. My thought process is that when I have something really "out" in my back or neck, I usually have to go several times to get it to stay in place. So, in an effort to hurry this process along for Brody and provide him more continual relief, we went back in today. He had one disc out in his back which was easily adjusted. We've been home for a few hours and he's just been so happy again! He was even good in his dreaded carseat on the way home! 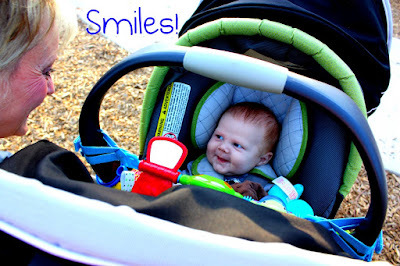 I have seriously never met or heard of a baby who hates his carseat quite like Brody does! I'll keep updating! Today we went to a fun birthday party for Brayden's friend Cilla! When we first walked in the door, Brayden spotted Rebekah's mom - whom he'd never met - and ran up to her and asked her to pick him up! Silly boy! These are all the pics I got before my battery kicked the bucket! We had such a fun time visiting with friends and letting Brayden run around and burn some energy! Tonight we had dinner at one of my favorite restaurants: Abuelos! Guacamole time! And tomorrow is a very special day for us - I'll share about that later! And off topic - but I received an email from a reader who nominated me for a blog award. You can check out the blogs nominated by clicking here. You can vote for a blogger or nominate one! Sorting alphabetically seems to be the easiest way to look through the nominees! So it's been over 24 hours since Brody's chiropractor appointment and I know several of you here and on twitter asked for an update! Yesterday at 4:30 we had Brody's appointment. We got home after running a few errands around 6pm. We took him out of the dreaded carseat (he haaaaates the carseat) and he was...HAPPY. I'm not sure when the last time I've seen him actually be 100% happy. Maybe never. 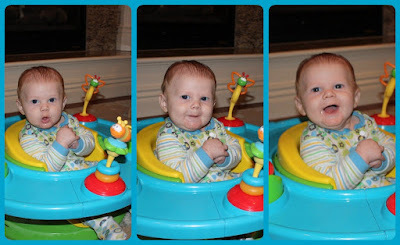 He was smiling, laughing, cooing, you name it. I thought it was a fluke. So we put him to bed at 9:30. His normal schedule is he goes to bed at 9:30, wakes up between 3-4 to eat, goes right back to sleep, and wakes up for the day between 6-7. Last night, he went to bed at 9:30, woke up at 5 to eat and then slept until 8:45. AH-mazing. But I thought it was still a fluke. Today has been - to date - his happiest day ever. I kept calling Chris to tell him how happy he was. The only time he cried was when he was hungry. I almost didn't know what to do with myself because I didn't have a screaming baby all day! And as a sidenote - this has nothing to do with the chiropractic visit - I set Brody on our bed while I was putting his jeans away and I thought he'd moved. So I started watching him...and I kid you not, he army crawled about 6-8" across the bed while I watched him. I yelled for Chris who was putting Brayden to bed and he was able to watch him do it too! We had a little pow wow and I reminded him that he is our last baby and I don't want him growing up so fast! I mean, today he was in NINE month clothing. He rolled over at 9 days old and continues to do it almost every day. This is going too fast!!! So I was talking to several of you on Twitter last night about chiropractic treatment for infants with reflux and I was surprised at how many of you have either taken your infant or know someone who has - AND that almost all of you said that it really helped or even "cured" your baby of their reflux! I did some research on the internet and combined with what I learned on Twitter I decided I was going to make Brody an appointment. Doesn't it look funny to see a little baby getting adjusted?! We've gone to Dr. M for years, so we felt very confident in his abilities. He said that he has treated a lot of babies for reflux and generally it's a mid-back problem (for those of you who speak chiro language, T5-T7). Brody had both T5 and T7 out as well as something in his neck. The plan is to take him once a week for 4 weeks. I'll keep you all posted! We are praying this will help Brody! Last chance! 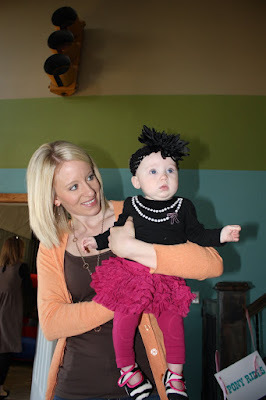 Enter to win a dress from Shabby Apple on my giveaway page!! If you've followed my blog for awhile, you've probably noticed some changes. I do my best to blog honestly because, let's face it, no one's life is perfect. I'm not interested in trying to pretend mine is. When I blog, it's because there are things that I truly want to remember later. 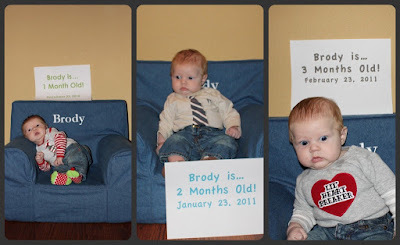 I love being able to go back and compare Brayden's 3 month post to Brody's and that kind of thing. Before I had Brayden I stayed at home. We were going through infertility treatments and I didn't have anyone to talk to about it besides my family. I lost contact with pretty much all of my friends. I feebly tried to make new ones, unsuccessfully. 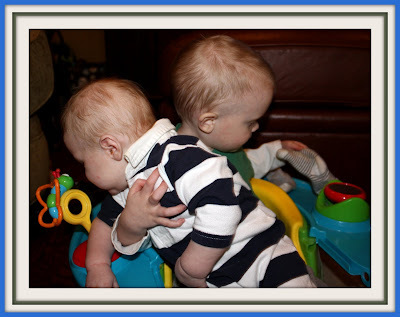 After I had Brayden I began to realize the importance of friendships. I wanted to have a group of friends that I could go on playdates with or that Chris and I could hang out with as couples. I tried for a long time to find somewhere that I fit in, without a lot of success. I'm painfully shy and sometimes I think people may see that as being stuck up, which is really the last thing I am if you get to know me. Now, 2 years later, finding mom friends and groups is one of the questions I get asked about the most. My first piece of advice would be to find a "mom's group" - something like MOPS. If shyness is your issue I know you are reading this thinking "there is no way...". Trust me. GO! Give it a try. MOPS is really designed for people like us - connecting you with other moms who are in a similar stage of life. 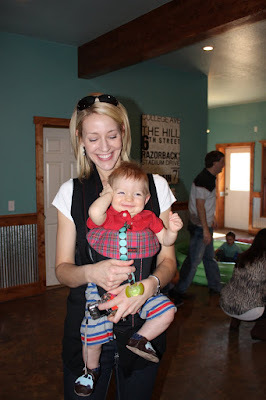 I know there are plenty of other mom connection groups and meet up groups, so find one and try it. Once you start going, get to know some of the women on a deeper than surface level way. Set up playdates or lunches. Really get to know them! Setup a playgroup! 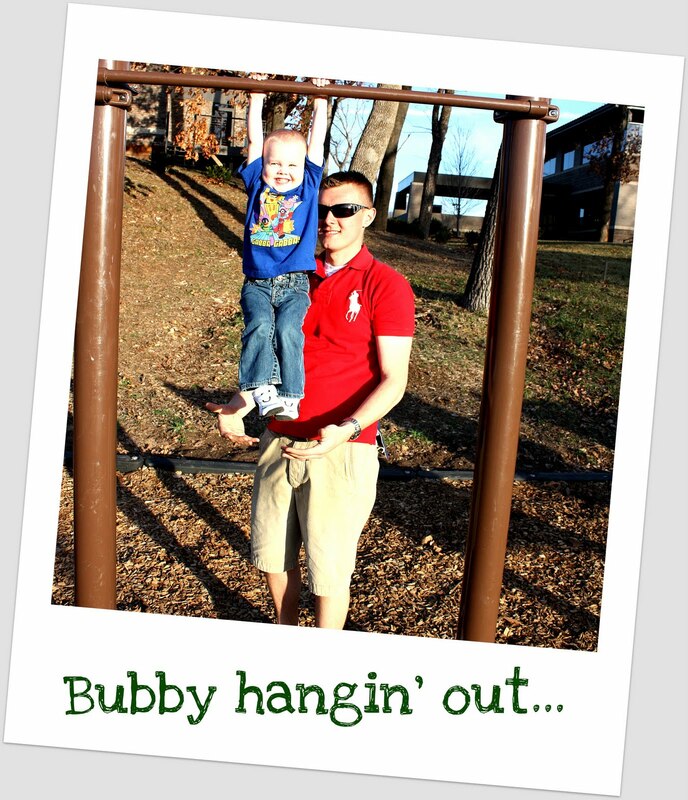 I know playgroups are "for the kids" but really they are as much for me and my sanity! Getting together once a week or once every other week with other moms - having adult conversation - that is priceless. Lastly, if you're reading this you probably blog. I've met a lot of great girls in my area through blogging and some of them are my closest friends! 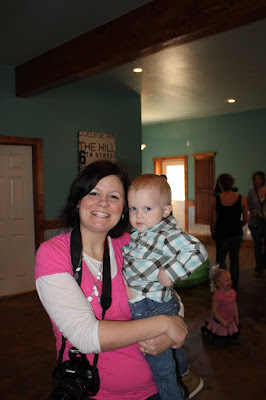 Schedule a meet up for local mom bloggers in your area! What are your tips for making new friends? Share them in the comments! I'm drawing a winner for the Shabby Apple giveaway VERY soon! Be sure to enter on my giveaway page! We've had a fun and busy weekend and this post is further proof that I need to carry a camera with me. I keep forgetting to take pictures! I was on twitter and I went to change my profile picture and then I realized I don't have any pictures with me in them! I've got plenty of the kids and Chris but none of me! Ha! Yesterday we went out to run a few errands. It was a nasty rainy morning and we had to go get Brody's medicine. I'll be making him yet another appointment with the pediatrician because his reflux isn't getting any better. Poor Jennifer had him in the nursery today and he threw up on her. I am just at my wits end - I don't know what to do to help him. He's been on three medications and we thicken his soy milk...nothing is helping. Last week he spent most of his time screaming. We've given the prevacid compound plenty of time to work and it just isn't. Last night Sara and Matt and their kids Lilly and Reid came over to hang out and have dinner. Our kids have such a good time playing together and Brayden just loves him some Sara! Today was church, and I didn't have to work in the nursery today so I was able to go to the service. Afterwards we went to Sara and Matt's for some turkey chili! It was really, really good! It is so pretty outside - even though it is a little bit cold. I may bundle the kids up and go for a walk after they wake up! Brayden is a computer genius. Why yes that is a Ping keychain (a golf brand for all you non-golfers). What on earth motivated him to not only SEARCH for a Ping item, no less a keychain? I have no earthly idea. Our thought is that Chris had recently searched for something else that was Ping and Brayden brought up that search and then somehow found this. After finding what he wanted he clicked "buy it now" and checked out. No, I am not kidding. So now we are stuck with $27 in Ping keychains. Don't forget to enter on my giveaway page for the chance to win this dress from Shabby Apple! This is one of my go to recipes. Yes, I know it's chicken salad but trust me - this isn't your grandma's chicken salad! My mom's friend Teresa used to be a caterer and this is her recipe. I got it from her several years ago and every time I make it everyone wants the recipe! It is SO yummy, but you have to make sure you use the right ingredients! It doesn't taste right if you don't use the mesquite chicken! 1 cup of mayo + 1 T olive oil + 1 t lemon juice. I usually use between 1.5 - 2 cups of may for the entire bag of chicken and adjust the OO and lemon juice as needed. Once mixed to desired consistency chop one whole bunch of parsley and add. Add as much cheese as desired - I usually use about 1.5 cups. * NOTE: If you don't have access to Sam's Club brand mesquite chicken, I would marinade 5-6 chicken breasts in mesquite marinade for 5-6 hours, then grill it and use that!